Pisco - Pneumatic Equipment | Fitting, Tubing,Actuators | DAS Services, Inc.
As an industry leader in productive development, Pisco's cutting-edge pneumatic equipment is second to none. As a result of their endless innovation and reliability, Pisco pneumatics products play an essential role in many FA machinery supporting production procedures. From the packaging to the automotive industry, Pisco pneumatics products can help optimize your equipment's performance so you'll be well on your way to improved efficiency and better results. If you're interested in knowing more about Pisco pneumatic equipment, contact us today. Pisco Couplings provide lightweight couplings that incorporate the quick-fitting mechanism in the body. The Pisco 20 series Coupling are lightweight and provide a flow rate of 1.08Cv. Another option is the Light Coupling 15 Series from Pisco which also incorporates a quick fitting and has a flow rate of .81Cv. The Pisco Coupling Module can be used not only to extend the coupling but also in combination with the Main Block. The number of blocks in the Coupling Module can be chosen for your application. The socket comes with a stop mechanism that stops air simultaneously with the removal of the plug. 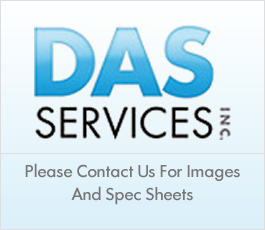 Contact DAS Services, Inc. for anything you might need regarding the Pisco Coupling series. Pisco Air Dryers are modular and have a unique membrane. Pisco Air Dryers do not require electricity to operate which in turn will keep overall costs low. The two main options from Pisco are the Fiber Dry series which are Membrane type dryers providing 4 different flow rates of 1.41 SCFM, 3.52 SCFM, 10.6 SCFM and 17.6 SCFM. This hollow fiber film type air drier does not require electric power. Simply connect the piping like a filter, then the Fiber Dry will perform better than a freeze-drier to provide dried air. The second option from Pisco are their Dryer Units providing a Combination of 1/4" & 3/8" pipe thread Filter, Mist Filter, Micromist Filter, Fiber Dry and/or Regulator. Both Model Code 301 and 500 offer a wide range of filters, micro mist filters and regulators to choose from. If you have any questions or there is anything we can help you with please contact us via Chat, Phone or Email. Pisco Fittings for Molding Die are fittings suitable for controlling temperature of die for plastic injection molding environments. Pisco's main series is the Die Temperature Control Series which is designed for heat control of plastic injection molding die and can be used in a variety of environments such as thermal oil, clean water, or air. -Rotary actuators: thin, high power, flat back side. Magnetic sensor optional. Pisco fittings are available in many shapes and sizes so they can be used for a variety of different applications. Whether you're looking for fittings that suitably interact with chemicals and other corrosive environments or something customizable, DAS Services, Inc. can help you find the perfect solution. Shop all Pisco fitting types above! -Solid state small pressure/vacuum sensors 11-series with option of union, Plug-in or Screw-in type body and remote controller with LED display. Pisco Pressure Gauges are compact-size pressure gauges that can easily be set up in small spaces. With the built-in tube fitting type, you only have to connect the tube to get pressure indication. -Hollow Fiber Membrane Filter suitable for semiconductor, measuring instruments, printing and medical equipment. Pisco Quick fitting type or thread type resin silencer when connected to the exhaust port of a device, suppresses the exhaust noise. Pisco Vacuum Generators / Vacuum Pads come in simple or multi-functional venturi type vacuum generators in various shapes and characteristics. These include the Vacuum generators - VU - union type, Vacuum generators - VH / VS- solenoid valve, threaded port, Vacuum generators - VB box shaped, Vacuum generators - VC / VM which is directly mountable.